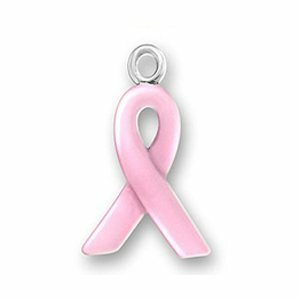 The perfect little breast cancer awareness pink ribbon charm & looks great! Made of durable pewter and enameled in a soft pink color. Add this charm to any one of our designs or give a gift as a gift to that special friend. No further discounts available on this product. 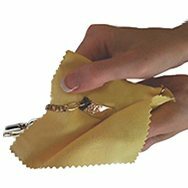 Select a sterling silver lobster clasp for an additional $1.00 from the menu below.